Tropical Storm Michael took its drenching rains to Georgia and the Carolinas on Thursday after battering Florida’s Panhandle as the third most powerful hurricane ever to strike the U.S. mainland and killing at least two people. 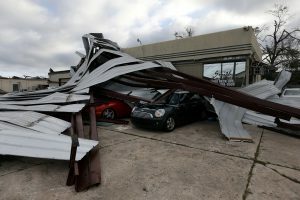 Michael shattered houses and buildings, downed power lines and ripped up trees when it crashed ashore on Wednesday afternoon, carrying winds of up to 155 miles per hour (249 kmh) and causing deep seawater flooding. 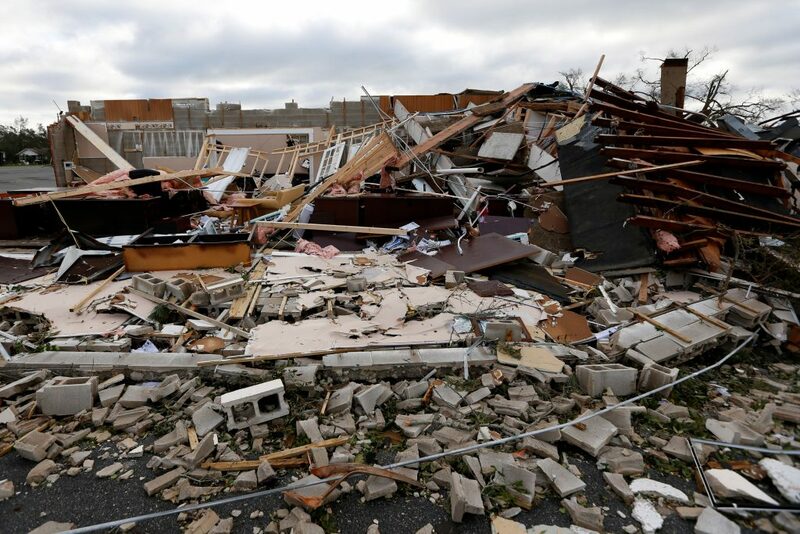 Residents and officials were taking stock of the damage on Thursday. 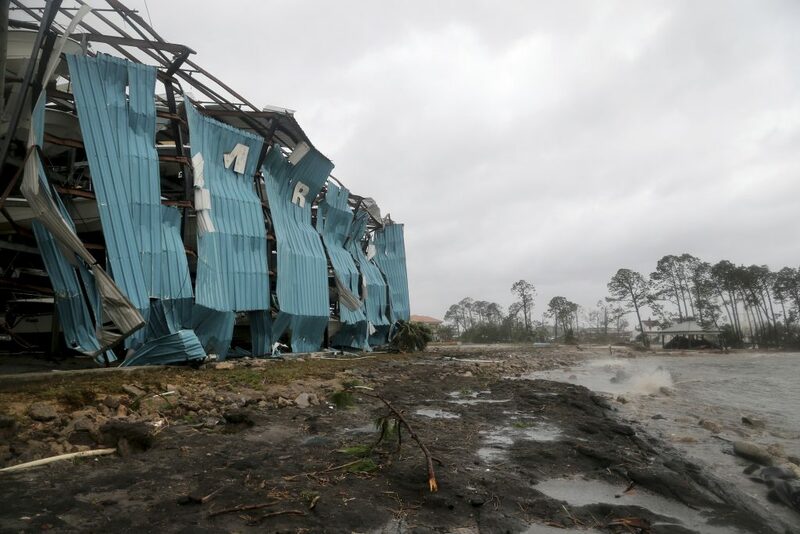 “I think everything from Panama City down to Mexico Beach is way worse than anybody ever anticipated,” Florida Governor Rick Scott told the Weather Channel. Michael’s eye came ashore near Mexico Beach, about 20 miles southeast of Panama City. 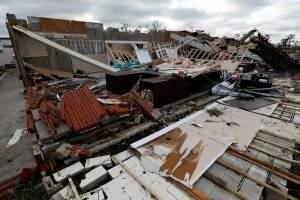 It was not yet known what had happened to about 280 residents of Mexico Beach who authorities said had ignored evacuation orders as the storm approached the state’s northwest. The area is known for its small beach towns, wildlife reserves and the state capital, Tallahassee. Michael was a Category 4 storm on the five-step Saffir-Simpson hurricane intensity scale, just shy of a rare Category 5, when it came ashore. It weakened steadily as it traveled inland over the Panhandle. By 8 a.m. Thursday it had been downgraded to a tropical storm with 50-mph winds as it pushed through Georgia into the Carolinas, the National Hurricane Center said. Parts of North Carolina and Virginia could get as much as 9 inches of rain and life-threatening flash floods, the NHC said. The Carolinas are still recovering from last month ‘s Hurricane Florence. More than 830,000 homes and businesses were without power in Florida, Alabama and Georgia early Thursday. “The wind that came through here was surreal. It destroyed everything,” Jason Gunderson, a member of a group of rescue workers that calls itself the Cajun Navy, told CNN early on Thursday from Callaway, a suburb of Panama City. Thousands of people hunkered down in shelters overnight after fleeing their homes ahead of the storm. 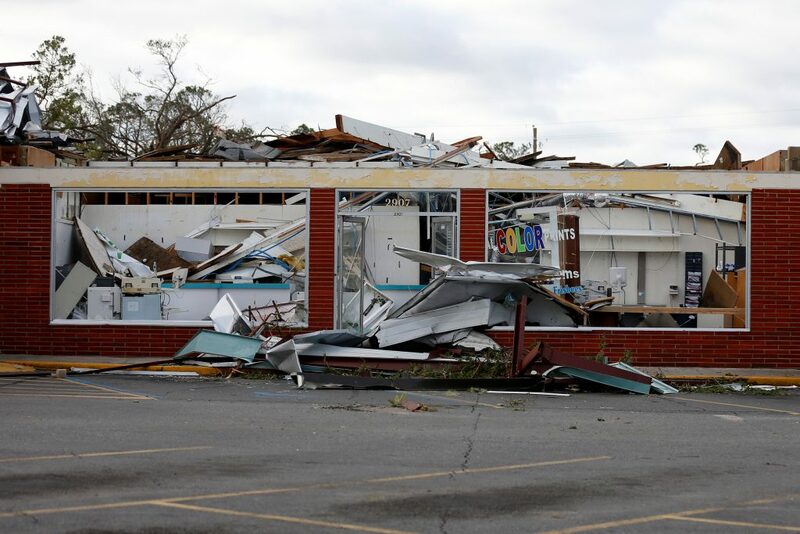 An estimated 6,000 people evacuated to emergency shelters, mostly in Florida, and that number was expected to swell to 20,000 across five states by week’s end, said Brad Kieserman of the American Red Cross. 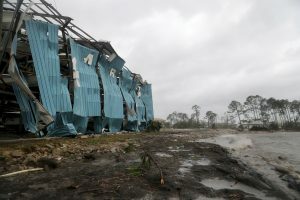 Twenty miles south of Mexico Beach, floodwaters were more than 7 feet (2.1 meters) deep near Apalachicola, a town of about 2,300 residents, hurricane center chief Ken Graham said. Wind damage was also evident. Michael had rapidly intensified as it churned north over the Gulf of Mexico in recent days, growing from a tropical storm into a Category 4 hurricane in about 40 hours and catching many by surprise. With a low barometric pressure recorded at 919 millibars, the measure of a hurricane’s force, it ranked as the third-strongest storm on record to make landfall in the continental United States. Only Hurricane Camille on the Mississippi Gulf Coast in 1969 and the so-called Labor Day hurricane of 1935 in the Florida Keys were more intense. President Donald Trump declared a state of emergency for all of Florida, freeing federal assistance to supplement state and local disaster responses. About 3,500 Florida National Guard troops were deployed, along with more than 1,000 search-and-rescue personnel, Governor Scott said. Even before landfall, the hurricane disrupted energy operations in the Gulf, cutting crude oil production by more than 40 percent and natural gas output by nearly one-third as offshore platforms were evacuated before the storm hit.